Hello guys. 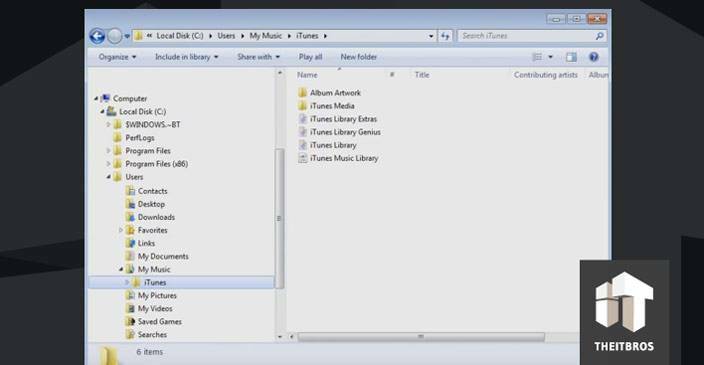 In this tutorial we are going to show you how to transfer your iTunes library from an old computer to your Windows 10 PC. At first we need to copy iTunes library from your old computer. 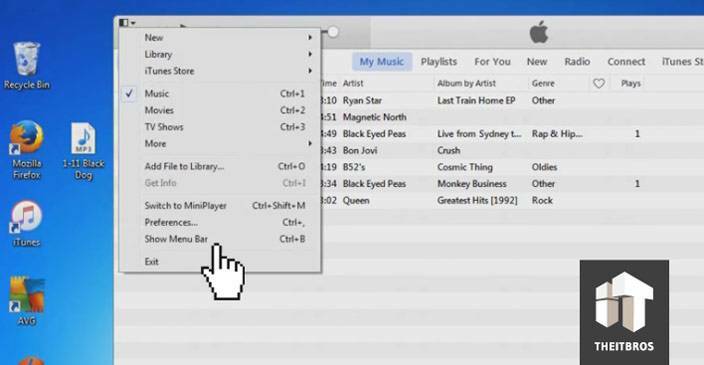 Open up iTunes on your old computer. Once it is opened, go to the Show Menu Bar. If you don’t see a menu bar, you have to click on the drop-down icon in the left upper corner and click on it. Now you can see it, so click on Edit and go to Preferences. That will open up the general preferences window, where we can go over and click on the Advanced tab. After that, we need to make note or write down the folder location, because we need to know where it is. Also, put a check mark on Keep iTunes Media folder organized. This will help you to keep your music organized on the computer and we recommend you always do that. Now put another check mark on Copy files to iTunes Media folder when adding to library. 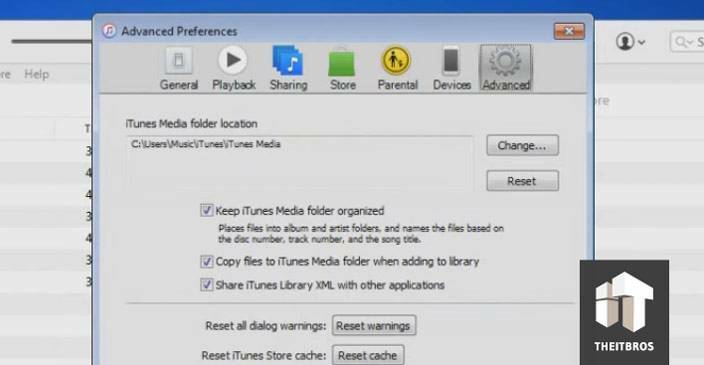 This makes a copy of any music or MP3 file that you might have located anywhere on your computer and puts a copy of it into iTunes. Once it is done, click Ok.
Let’s go ahead and consolidate all of our music that is on our computer system here. What we want to do is make a copy of it and place it in iTunes. So go ahead and click on File -> Library -> Organize Library. In the following window make sure to put mark on Consolidate files. What this going to do is locate all the music files that you have on your computer and make a copy of them to place them into iTunes library for you. It doesn’t touch or disturb existing files. Once that’s done, click Ok.
Let’s go ahead and close out iTunes, because we no longer need this app open. Now insert a USB flash drive or an external hard drive into USB port on your computer system, that has a large enough capacity to handle all the music files that you want to copy and transfer over to your new computer. After that we need to copy our music files from the iTunes folder. Basically, we need to copy entire iTunes folder to our flash drive. Keep in mind that depending on the speed performance of your computer and how many music files you need to copy onto your flash drive, this can take from couple of minutes to a good number of hours. But once it is completed, we can go ahead and close this out. Now, you need to eject your USB flash drive and remove it out of USB port on your old computer. On our new computer we are running Windows 10. We are going to go ahead and grab the USB flash drive. After that open up your iTunes application. 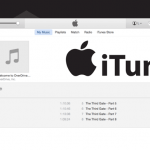 We are doing this, because we want to confirm that the iTunes Media folder is still in the default location. Let’s take a look at the menu bar. Click on Edit and go to Preferences. Now click on the Advanced tab. As you can see the default music location is the same, so we don’t want to make any changes. Also you can check that iTunes folder is empty. There is no music in it presently right now. Let’s open up file explorer again and go back to our flash drive. Then right click on iTunes folder on our flash drive and click on Copy. Now, you need to delete the iTunes folder from the default location and then paste there the iTunes folder from your USB flash drive. Once it is done, we need to make sure that we did it properly. 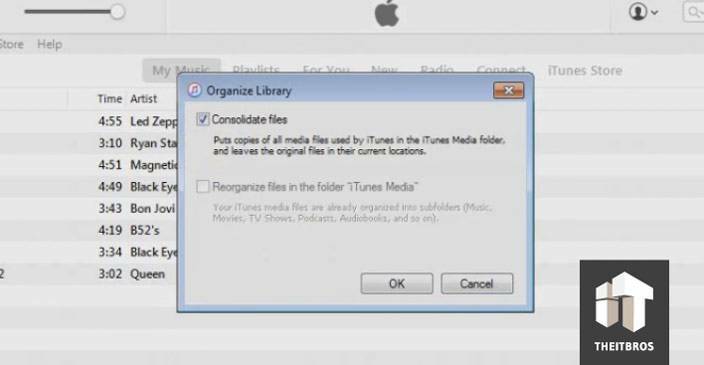 Go ahead and open up iTunes application and you should be able to see your music that was on your old computer. As we can see, it is done: we transfered our iTunes library from an old computer to Windows 10 PC. I am having issues accessing my iTunes library on my new Windows 10 pc. I did things a little differently – I uploaded the entire library to my Google Drive from the old computer, then I tried to put the files into my Music file on the new computer (which is where the new, empty iTunes library was located on the new computer). All the songs from my old library now appear in my new iTunes library, but when I try to play them, it says it cannot locate the file. When I direct it to the Music folder and click on my library, nothing happens. As far as I know, the file is located where it should be – after all, iTunes is seeing all my songs. What am I missing?